E. Finley Carter had a distinguished career in research and management and was a pioneer in the field of industrial relations. A native of Elgin, Texas, born on July 1, 1901, Mr. Carter received his B.S. degree in electrical engineering (With Distinction) from Rice Institute in 1922. Mr. Carter began his career as a student engineer with General Electric's radio division in Schenectady, New York. He was soon advanced to the position of section leader where he directed the engineering and design of three major broadcasting stations. He later became a division engineer of the radio department. When he joined the United Research Corporation, New York, in 1929, he was placed in charge of the radio division. After three years in New York, Mr. Carter joined Hygrade Sylvania Corporation (later Sylvania Electric Products, Inc.) in Emporium, Pennsylvania, as a division engineer in 1932. His long interest in the field of human relations resulted in his appointment as Director of Industrial Relations of Sylvania in 1941, with headquarters in New York City. This entailed a move to Manhasset, New York, where he lived for the next thirteen years. During this time he helped formulate and implement the corporate philosophy of decentralization and multiple-plant operations pioneered so successfully by Sylvania. He initiated progressive programs in industrial relations and organization development. In 1945 he became Vice-President in charge of Industrial Relations. A year later he was appointed Vice-President in charge of Engineering, and in 1952 he became Vice President and Technical Director. During these years he was granted 20 patents in radio and carrier current communication, remote control, telemetering, automatic synchronization, time delay relays and vacuum tube devices. Among his major inventions were two dealing with single frequency duplex systems, and one on automatic volume control. A number of his basic discoveries are in common use today in radio communication and control systems. Mr. Carter joined Stanford Research Institute in 1954 as Manager of Research Operations, responsible to the Director for coordination and integration of multi-disciplinary research programs in the fields of physical and life sciences, economics and engineering. In 1956 he became Director of the Institute and a member of the Board of Directors. In March 1959, he was named as SRI's first president, and held that position until March 1963. Under Mr. Carter's administration, the staff of SRI was almost doubled, net worth increased from $3 million to $12 million, and research volume grew from $12.5 million to more than $33 million. In his position as Senior Management Counselor, Mr. Carter was engaged in research areas of special interest, particularly in the field of communications, human relations and human understanding. He retired from Stanford Research Institute in 1965. 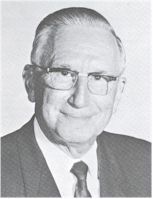 Mr. Carter was awarded the IEEE Founders Medal in 1969 "For outstanding contributions to the electrical engineering profession and to the Institute of Electrical and Electronics Engineers through wise and imaginative leadership in the planning and administration of technical developments in electronics and telecommunications." Community involvement was also an important part of Carter’s life. Active in YMCA work since his youth in Texas, from 1945 to 1954 he was a member of the Board of Trustees of the Silver Bay Association, a branch of the YMCA with conference grounds at Silver Bay, Lake George, N.Y. From 1954 to 1962, Mr. Carter served on the Research and Development Advisory Council to the Chief Signal Officer, L. S. Army, and in 1963 was regional vice president of the American Ordnance Association, having been a director (1957 to 1962) and president (1960) of the San Francisco Post of AOA. Even after his retirement from full commitment to managerial activities, he very actively sought out activities in public service, human relations, and personal counseling that would continue to serve his former colleagues. He devoted his energies to corporate directorships, special government, and civil committees. He found relaxation at the controls of his ham radio station, K6GT, which brought him friends from all over the world. Carter was married to the former Charlotte Reid. They had two children and many grandchildren. Carter passed away on 18 February 1979. This page was last edited on 22 January 2016, at 15:12.